Still confused about which type of skin you have? 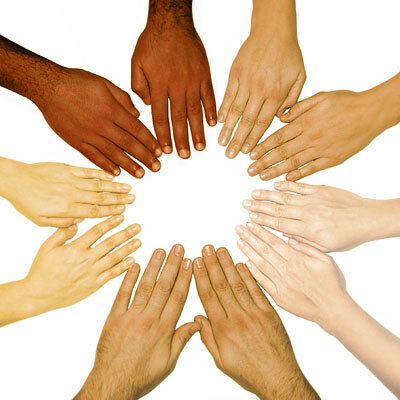 Do you find it difficult to distinguish between the various skin types? Well do not worry anymore! 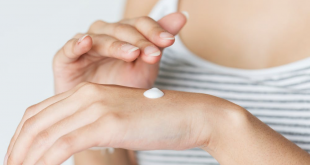 After going through this article, you would surely realize which skin type you possess and hence would take appropriate steps to take care of it. Basically there are five types of skin namely- oily skin, normal or combination skin, skins which are sensitive, dry skin and sun damaged skin. You can determine which skin type you have by checking how much or how less oil is secreted or produced by your skin. The aspects which determine how much or how less oil is secreted by your skin is your diet, your genes, the level of your stress, any fluctuations with respect to your hormones and even the way in which you take care of your skin and how meticulously you follow its treatment regimen. There are various beauty experts who suggest that in order to determine which skin type you have, you can carry out a small experiment for that. Simply wash your face with a normal face wash and pat your skin dry. After the face is dry take some tissue paper and dab it on various parts on your face. Remember, if the tissue paper sticks to your face and turns translucent, this indicates that you have an oily skin. Your skin would be considered a dry skin if the tissue paper does not remain sticking to your face. But if the tissue paper sticks the areas such as your nose, chin and forehead, then your skin type is normal. Approximately maximum of women have a normal skin type. But you can know your skin type now in this article. Keep reading to know more. People having skin which is oily usually have skin which shines all the time, especially in the areas of forehead, nose and the chin. People with oily skin have pores which are enlarged, a skin which is susceptible to enumerable blackheads. The skin may also have lots of breakouts caused by the production of overwhelming amount of oil from the oil glands (known as sebaceous glands). But there is also positivity with having oily skin which is that when you age more, few or no wrinkles are formed on your face because the oil produced by your skin keeps the skin of your face plump and fresh unlike women who have dry skin which are more wrinkle-prone as it ages. Look after your oily skin by washing it with a cleanser every night before retiring to bed. Use a scrub at least twice a week, moisturizers as well as astringents if you are having lots of breakouts. As for the makeup, use blends which are not liquid but rather powdered as well as go for oil-free foundations. 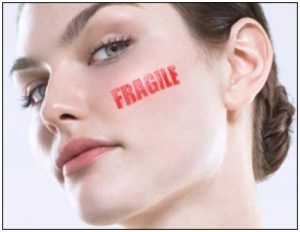 Experts claim that most of the women have skin type which is normal or combination in nature. By normal skin we mean that the region of your forehead, nose and chin is little oily whereas your cheeks are usually drier with various dry spots all you’re your face. The pores of your cheeks and forehead are slightly large unlike the other region of your face which comprises of medium sized pores. Women with normal skin type usually have a smooth face whose texture is even, has healthy circulation which gives a healthy pallor to the face. For taking care of your skin you have to follow two different treatments for our face- one for the region of your slightly oily forehead, nose and chin, and the other treatment for the much drier cheeks. 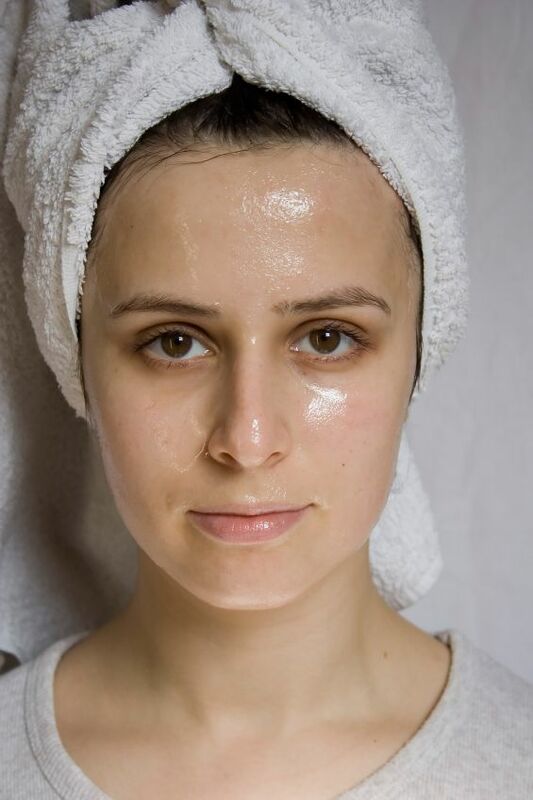 For the oily region, after washing your face with a good face wash, apply astringent on the oily regions, do not forget to go for exfoliation at least twice a week and use good amount of moisturizer to eradicate the dry spots on your face which also helps in removing any skin cells which are dead or damaged. Most of the times when women possess oily, natural or any other skin type, it can be changed to a dry skin or any other skin type as you age. The reason for this change can be some fluctuation with your hormones. Dry skin is extremely uncomfortable to live with. Even after you cleanse your dry skin it would feel extremely tight and uncomfortable. Dry skin is more prone to wrinkles, patches with reddish tinge and flakes. Due to enumerable dead skin, the appearance of face may be a bit ashy. If your skin type is dry then you should treat it with utmost care. Go for moisturizers and other products such as cleansers which are heavy. Do not for get to exfoliate at least once every week. Apply primer on your face before applying foundation because a primer would plump up your skin to a great extent. Women with sensitive skin have skin which is extremely intricate, delicate and comprising of pores which are fine in nature. The symptoms which show that you have a sensitive skin are- if sun irritates you easily, allergic to few cosmetics which causes redness and if your skin gets eruptions which are itchy in nature. It is a bit complicated to find impeccable facial products such as cleansers, scrubs and moisturizers for women who have sensitive skin. But there is no need to fret. Nowadays you can find in the markets enumerable products (mild) made for sensitive skin. Women with aging skin usually have skin which is slack and full of wrinkles present in the region of cheeks and the jaw. In an aging skin you can also spot enumerable broken capillaries along with the skin which is usually leathery in nature. Use heavy moisturizers and creams to plump up your skin and bring a healthy pallor to it. As now you are armed with the required information about the skin types, take proper care of them!